There are a plethora of remote desktop solutions on the market, and it can be tricky to pick the right one for your needs. Don’t worry though, we’ve done the legwork for you, cataloging and comparing the most popular remote desktop solutions so you can easily pick the right one. After the recent flurry of news stories regarding TeamViewer and compromised computers (you can read their press release here and our article about properly securing TeamViewer here), there’s been quite a bit of interest in alternative remote desktop programs. Fortunately, there’s practically as many ways to set up a remote desktop session as there are motivations for doing so. Rather that simply throw a laundry list of remote desktop solutions at you, we’ve opted to group them into two major categories: operating-system-based remote desktop solutions, provided by the same company behind your operating system, and third-party remote desktop clients. Each of these solution categories offers something of value depending on your needs. Let’s take a look at each category now and highlight the benefits, shortcomings, and differences. As we run through the features of the different remote desktop solutions, keep a few important questions in mind. Is the solution just for your own use or for helping friends and relatives? Just because you’re tech savvy and can easily configure things doesn’t mean they will. Do you need unattended access? A solution that requires someone at the remote PC is no good if nobody is home. Do you need on-the-go access from your mobile device? If so, a good mobile client is a must. Keeps your needs (and the abilities of the people you’re helping with the remote desktop) in mind as you read through the features. Both Windows and Mac OS have had remote desktop solutions built in for ages. As such, people are comfortable using them–they’re right at hand, free, and supplied by the company they trust enough to run their entire computer. While they aren’t difficult to use, the biggest shortcoming of the built-in tools is that they need to be configured by the person on the other end. If you’re doing the configuring (either on your own machine or on the behalf of your relative when you’re visiting them in person), this isn’t a big deal. If said relative just called you up and needs help, however, you’re stuck not only dealing with their actual problem but the problem of walking them through turning the remote desktop functionality on. Once turned on, however, both the Windows and Mac OS solution allow for unattended use. Windows Remote Desktop Connection runs on the propriety Remote Desktop Protocol (RDP) and is widely supported both by Windows itself and a variety of third party client applications. You can find client apps for other desktop operating systems (like OS X and Linux) as well as mobile platforms (like iOS and Android). Although it’s easy to setup Windows Remote Desktop, there’s a bit of a catch: while all versions of Windows can connect to other machines via the RDP client, only the professional versions (and above) of Windows have an RDP server. Since most friends and relatives you may be helping are likely running some Home release of Windows or another, you won’t be able to connect to them. In addition to that, if you’re using it outside your home network you’ll need to configure the router of the remote network (e.g. your parents’ home network) to accept incoming remote desktop connections. Further, you need to know the remote IP address of the server and the login credentials for that machine. If its your own machine you’re connecting to, that’s not such a big deal. If it’s the machine of a friend or family member you’re helping, that might be a deal breaker: maybe they aren’t technically competent enough to look up their own IP address and maybe they don’t want to give you their login. 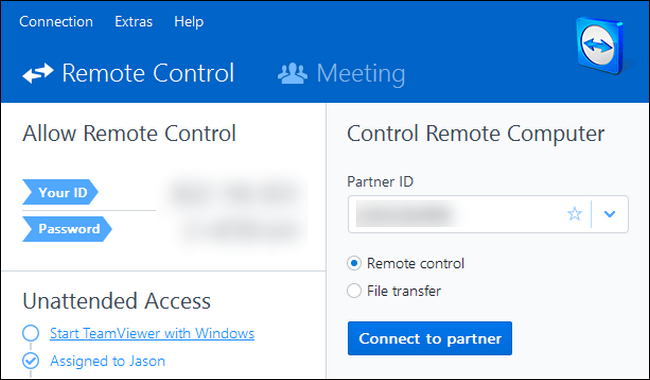 Although so far we’ve made it sound like Windows Remote Desktop Connection is a terrible product for remote desktop use, it’s actually–in the right context–the best solution. 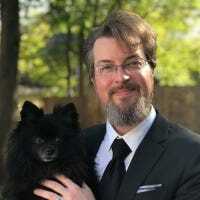 If you’re running a household or office of computers with Windows Pro or better (so they all support RDC hosting), connecting to those machines with RDC is such a smooth experience it’s like literally being right at that computer. The display is crisp, fast, and full color, the connection is responsive, and other than the tiny blue toolbar at the top of the screen indicating your’re using RDC, you’d never know you weren’t using the PC sitting on the desk next to you. For home or office use with Windows computers that support it, using Remote Desktop Connection is a no brainer because that’s what RDC was made for: local network administration in a professional environment, not cross-country tech support calls with Grandma. The Apple solution is a bit more accessible in that all Mac OS computers have “Screen Sharing” built in. Even better yet, Apple’s Screen Sharing allows for a variety of connection methods–you can use your own computer login to login from afar, your Apple ID, send a request, or use a VNC (Virtual Networked Computer) connection. The VNC method is just a pretty repackaging of the ancient (but reliable) VNC protocol, but it makes it easy for non-Apple users to connect to OS X machines. 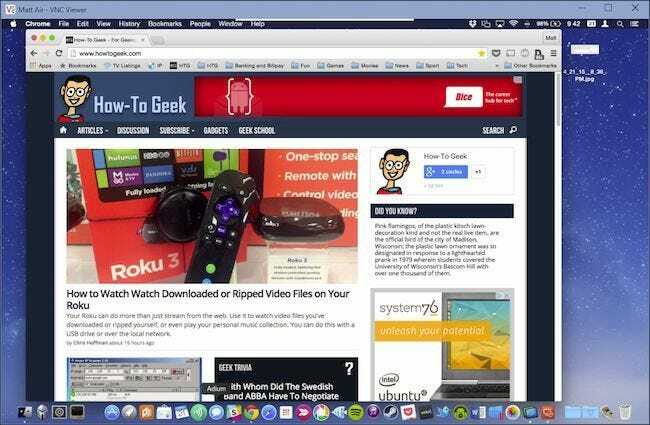 That means even if you don’t have a Mac of your own, you can walk your relative through turning Screen Sharing on and then connect to it using any number of VNC clients across any number of platforms (we’ll talk more about VNC later in the article). It’s worth noting here, for the sake of thoroughness, that Apple does have its own institutional/corporate-oriented remote desktop solution that is radically more advanced than simple screen sharing–but it costs $80 a computer and is pretty significant overkill for a home user. The bottom line with the operating-system provided solutions is that they require a bit of time to set up, some foresight on your part to have installed ahead of time, and the setup process requires ensuring the remote desktop software can pass through your firewall (or the firewall of the person you’re helping)–if you’re looking for an immediate solution to help a friend in need, this probably isn’t it. If you’re looking for a solution for your own machines and you’re willing to set it all up, both Microsoft’s RDP and Apple’s VNC systems are widely supported and pretty flexible. While both Windows and Mac OS have their own remote desktop/server clients, as we just saw, there’s a whole world of third-party remote desktop solutions out there to meet nearly every need. Though we’re only highlighting the most widely adopted and feature rich solutions here, we’d encourage you to check out Wikipedia’s rather comprehensive feature chart comparing dozens upon dozens of different remote desktop products if you’d like to dig deeper into the matter. By far these solutions shine (save for our last entry, VNC) in pure ease of use. Unlike the configuration requirements we mentioned above, using them is as simple (for the person you’re connect to) as running an application and giving you the login code. 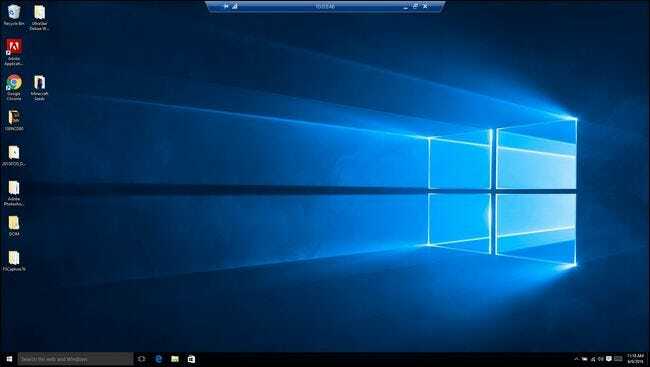 Despite the knocks it has taken in the press recently, TeamViewer is a very popular product and, Windows Remote Desktop aside, likely the most widely used remote desktop software around. One of our favorite things about TeamViewer is how flexible it is. You can run it once to get remote assistance and then never start it again, or you can set it up with advanced security rules for unattended use. Because you can download the TeamViewer app, run it, and get a unique ID and a randomly generated password, it’s super easy to have a friend or relative in trouble grab the app, give you their credentials, and log right in to help them. You can install the TeamViewer program on Windows, Mac OS, Linux, and Chrome OS. In addition, there are client apps for Android, iOS, Windows Phone, and BlackBerry. You’ll find all the available downloads here. Although Splashtop does offer similar functionality to TeamViewer, when you start to compare the products (especially from a cost standpoint), things add up quickly. 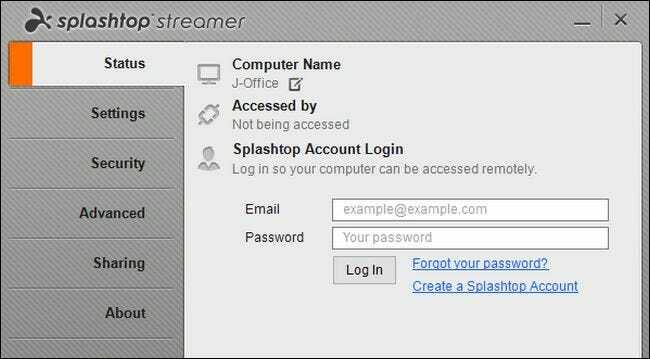 Splashtop offers a server app (the Splashtop Streamer app) for Windows, Mac OS, and Ubuntu computers. 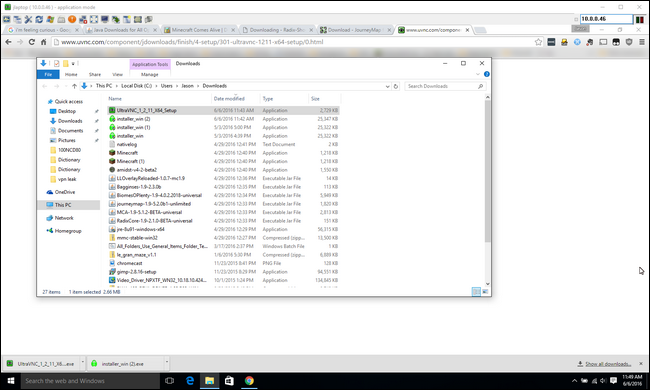 There’s also a client app (Splashtop Personal) for Windows, Mac OS, Ubtuntu, as well as iOS, Android, and Windows Phone. You can grab all of the available apps here. While Splashtop does offer a completely free option, that option is limited to using Splashtop only on your local network (e.g. to connect to a computer in your child’s room or down in the basement). In order to access machines from outside your house, you’ll need to sign up for the “Access from Anywhere” feature, which runs $16.99 per year. Further, the iOS apps cost money ($20 for the iPad app, and $10 for the iPhone app). File transfer and remote printer access are restricted to the Business grade plan ($60 a year). With that in mind, Splashtop might be great for connecting to computers on your local network, but it gets pricey pretty quickly when it comes to connecting to your computers away from home (or the computers of your friends). The cost might be high, but Splashtop does have one shining feature: it’s really good at streaming high quality video and audio. Remote desktop solutions, especially over the internet, are known for choppy and low quality visuals (and typically no audio). On a high speed connection, however, you can actually watch a movie from the remote computer with little-to-no noticeable issues. 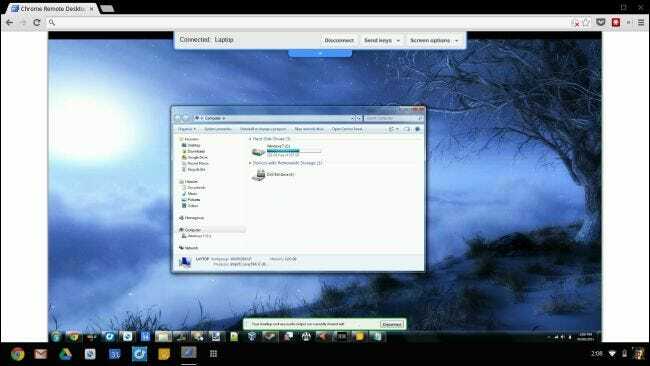 It doesn’t get as much press as some of the more high profile desktop solutions, but several years ago Google quietly rolled out a remote desktop solution for their Chrome web browser called Chrome Remote Desktop. It’s quite easy to set up and completely free. When using it, you have the option to connect to your own computers (which are all linked to your Google account) or to set up remote sessions to the computers of friends or relatives to help them. While they also have to install Chrome Remote Desktop, it’s not particularly difficult to do so, and you can easily walk them through the process over the phone (or send them a link to our article). Chrome Remote Desktop does lack the more advanced features you find in options like TeamViewer–like file transfer and remote printing–but it makes up for it with dead simple usage. VNC, or Virtual Network Computing, is an open source remote desktop solution. There are many VNC applications, and the open source nature of the protocol makes it possible to use a VNC server from one company and a VNC client from another. The most notable companies on the server side of things are RealVNC, TightVNC, and UltraVNC. Because VNC is open source and the protocol is free for anyone to use, it’s easy to find good VNC client apps to connect into the remote computer like VNC Viewer (iOS/Android), a free offering from RealVNC. Speaking of free, for the most part implementations of VNC are completely free except for those that add in additional features on top of the VNC protocol and charge for it. The most notable example of this is RealVNC Personal which includes preconfigured encryption. By default VNC traffic is not encrypted (where as solutions like RDP, TeamViewer, etc. are encrypted). Some versions of VNC support encryption via plugins (like UltraVNC with their SecureVNC plugin). We’ll put it this way: VNC is like the Linux of remote desktop solutions. It’s free, it’s open source, you have lots configuration of options, but it’s complicated to set up and requires the user to have a firm handle on topics like encryption and firewall configuration. In exchange, you can do as much (or as little) as you need with it and across every platform you can think of. If you’d like a hands on look at installing a VNC system, you can check out our guide here. As a final note, you may have noticed we didn’t mention popular solutions like Join.me. That’s because Join.me and other screen sharing apps, even if they might have the option to let the viewer take control of the mouse or some such thing, are really screen sharing apps and not remote desktop apps. They’re light on features, they’re intended to share the screen for presentations and not for tech support calls and actual remote use, and they’re not as simple as they purport to be. You still have to have your friend or family member go to the webpage, download the app, run the app, and give you the ID number of their session in order for you to connect to them. At that point you might as well be sending them to download the TeamViewer client which is just as easy to download, run, and get an ID number with–but instead you get a very full featured remote desktop app instead of a screen sharing tool. Whether you need always on and unattended access or just occasional remote desktop access to help a friend, there’s a remote desktop solution for everyone.